13/05/2017 Mentor Arabia and the Royal Health Awareness Society (RHAS) launched the Mentor Arabia Youth Short Film competition during a press conference on Thursday 11 May held at the Royal Film Commission. The competition is aligned with the agendas of both entities, goals to raise awareness about risky behavior amongst youth, and reducing drug abuse, which threatens their potential in life and play a proactive role to tackle this issue within their community. Both Mentor Arabia and RHAS encourage youth participation in community work, and believe in their power to spread a culture of drug-abuse prevention. The competition’s first cycle is held during the second quarter of 2017, in cooperation with a number of public and private universities, as well youth related organizations from 8 Arab countries. The competition targets young talents between the ages of 18 and 25, and encourages creativity and innovation of youth and students of cinematic and audiovisual arts. Filmmaking is a powerful tool of expression, which participants are encouraged to use when developing short films that shed light on key social and developmental issues that concern youth. 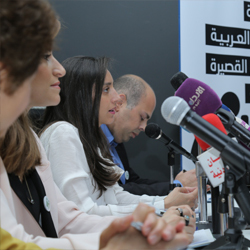 The panel of judges is comprised of a number of cinema experts, as well as Arab celebrities, active in arenas of social work, arts and media. 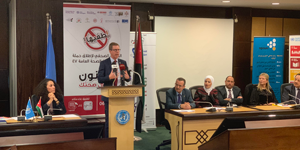 Mentor Arabia CEO, Thurayya Ismael, has commended the efforts that RHAS invests in raising awareness amongst individuals and communities alike, especially regarding healthier lifestyles, and the dangers of smoking and drug abuse and their negative effect on youth. 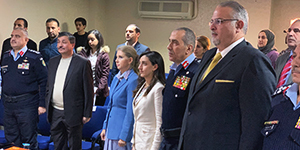 Attending the press conference, which demonstrated the participation and award selection processes, was a number of youth empowerment organizations, university representatives and members of the media. Many rely on how they feel to judge if their blood pressure is under control. Bad idea, feelings are unreliable. Measure it.